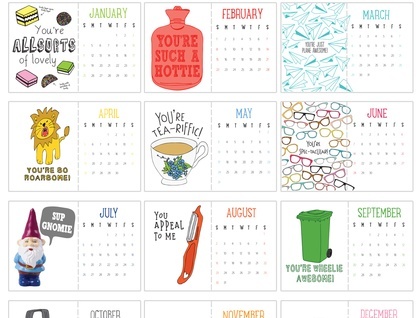 Resolve to send more mail in 2015 with our Postcard Calendar! 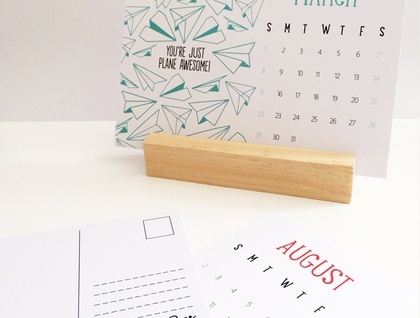 Featuring 12 of our favourite card designs this calendar is perforated so you can tear off the dates at the end of each month and send the postcard to your friends. A5 size, printed on 300gsm card stock. Perforated so you can easily tear off the postcard at the end of the month. Comes with a stand handmade from sustainable NZ pine.